HereBeDragons offers a clean and modern API to retrieve the players position, calculate distances and angles between positions, both in global world coordinates and local zone coordinates. The primary goal of this library is to provide an up-to-date and low maintenance alternative to the legacy map libraries like Astrolabe and LibMapData, which both unfortunately are unmaintained and have their own issues due to changes in WoWs API. On top of a clean API for all map math, HereBeDragons also provides a second library, HereBeDragons-Pins, which replaces the world map and minimap pin management functionality of Astrolabe. This library is roughly based on the pin management code from GatherMate2, which has been thoroughly tested in years of use. The map data is getting a huge overhaul in 8.0, which means HereBeDragons will be changing as well and moving to 2.0. A lot of the map data is going to change - primarily, the "Map ID" and the "Map Filename" are both going away, as well as the C/Z pair, and are replaced by a new "uiMapID". We've been provided basic data from Blizzard to migrate the old "MapID" to the new "uiMapID", and HereBeDragons offers utility functions to migrate data as part of HereBeDragons-Migrate. But it will require all addons which interact with the map to update. 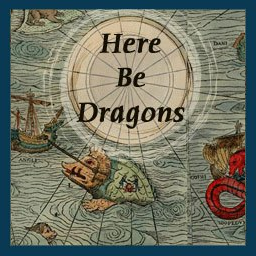 The latest Alpha releases of HereBeDragons include the first version of HereBeDragons-2.0 for WoW 8.0. The API has slightly changed where necessary, primarily all "floor" arguments have been dropped and all MapIDs/MapFilenames have been replaced by the new "uiMapID". API documentation is linked above. All previous map identifiers have been phased out, and you will need to update any map data to the new "uiMapID", which is the only identifier for maps going forward. Great library ! I'm always amazed how people can make such compact yet very functional things. Would it be possible to incorporate some sort of callback when adding minimap pins that would be called whenever the 'onEdge' state changes ? It feels awkward to have to make an onupdate just for this, and more so since HBD-pins already has one going to update the pins. The callback function could be an optional argument to the AddWorldMapIconMap or AddWorldMapIconWorld functions. This would, for example, make it very easy to change textures from arrow (onEdge) to 'whatever it is you want' for not onEdge. This is an awesome lib, but is there any way possible to make pins appear under the minimap player arrow instead of on top? I've tried all layers and texture layer numbers I know of and can't get them under the arrow without them going under the whole minimap. I'm wondering if this is a limitation because of how the minimap arrow is not a lua frame. Do you have any suggestions? Unfortunately I don't think that is possible. The Minimap is drawn as an opaque object by the game, so you can't get "in between" the map and any of the things ontop of it. Thanks for the reply and for the 8.0 updates, maybe I'll look into creating a frame that mimics the arrow to sit on top when a marker is under it or something. When logging into a character located in the Dreamgrove, HBD:GetZoneCoordinatesFromWorld() appears to return zone coordinates for the base zone Val'sharah. However, it does return zone coordinates for the Dreamgrove after reloading the UI. I fixed this issue, but please use the issues section of the website in the future to report problems, much easier to track then, thanks! Not quite. What I'm missing with just UnitPosition(unit) is the handling of the coordinate transformation and the override IDs. You can just use UnitPosition, the x/y value it returns are the same as HBD:GetPlayerWorldPosition would give you. Thanks for the library. :-) I was waiting impatiently for LibMapData to update to get one of my addons running properly again. The transition to HereBeDragons went smoothly. I'm just missing a query function to get the position for a valid unit string. So far you provide that only for the player with GetPlayerZonePosition() but I need party or raid units also. Any chance for adding this in the future?